Two University of La Verne College of Law faculty members traveled to New York recently to work with a group of African defense lawyers as they hone the skills needed to represent clients facing the death penalty in their countries. Associate Dean of Faculty Performance and Development Michael O’Connor and Visiting Professor Celia Rumann participated in the second annual Makwanyane Institute organized by the Cornell Center on the Death Penalty Worldwide. 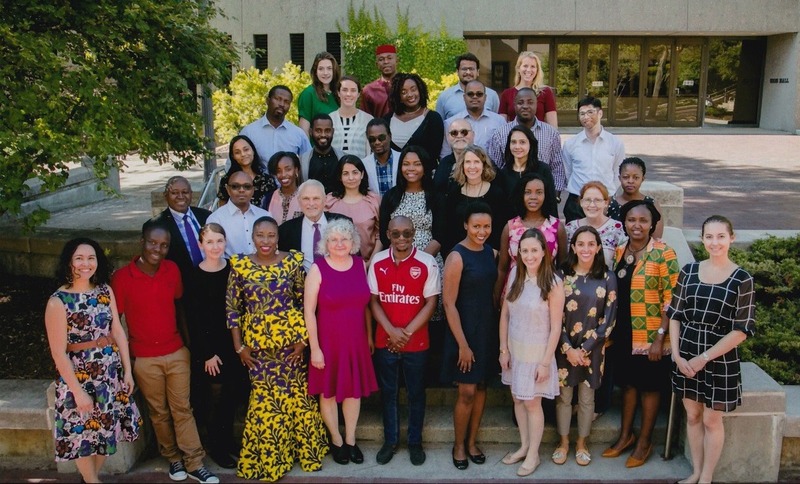 The program, part of the Cornell University Law School, offered 14 fellows from African nations the opportunity to participate in specialized training and mentoring by a team of leading experts in death penalty representation in the U.S. and internationally. The Makwanyane Institute gets its name from a landmark 1995 South African court case, which abolished the death penalty in the country. Although a number of African countries have established moratoriums on capital punishment, many continue to apply the sentence to a wide range of offenses, such as robbery, even if the crime did not result in death. “In the United States we limit the death penalty to homicides and those deemed to be the worst of the worst,” O’Connor said. “In Africa, it varies from nation to nation.”Law schools in Africa offer little to no training on handling capital cases, O’Connor said, so the Makwanyane Institute offers an opportunity for the fellows to learn valuable skills to improve the outcome for their clients. The training covers a wide range of topics including interviewing clients, mental health issues, false confessions, wrongful convictions, and more taught by attorneys who have extensive experience handling death penalty cases. “We not only share what worked, we share what didn’t work,” said O’Connor, who represented death penalty defendants for almost two decades as a practicing lawyer. Fellows are encouraged to take the lessons they learn from the program and try them in their countries, Rumann said. At this year’s institute, just as she did last year, Rumann gave a presentation on opening statements, an important strategy that she said isn’t typically part of trials in African countries. Sandra Babcock, founder of the Cornell Center on the Death Penalty Worldwide, reported that one of last year’s fellows had begun presenting opening statements at the start of trials with positive results and was training other lawyers to do the same. Aside from training sessions and other activities, the American lawyers become long-term mentors to the Makwanyane fellows, discussing ideas and strategies for specific cases, and collecting legal materials the mentees can use to build a case. Rumann said participating in the institute is stimulating experience where she can share her knowledge but also learn from the fellows, who are among the most intelligent, compassionate, courageous and dedicated lawyers in the world. “It’s inspiring to see them and the challenges they overcome in their systems,” she said.